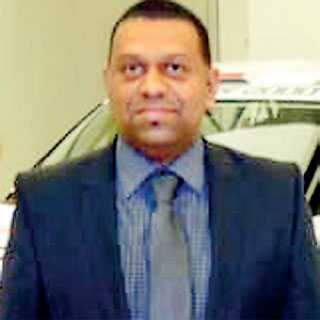 Hyundai Lanka Ltd, the sole authorised importer and distributor for Hyundai brands in Sri Lanka, appointed Sadath Nizar as the General Manager for After-Sales with effect 1 January. Sadath who is a highly qualified automobile professional with over 20 years of experience in the automobile industry, out of which 10 years account for building global brands such as Volkswagen and Audi will be responsible for all aspects of Hyundai’s After-sales strategy and deployment. In addition, Sadath’s appointment will further strengthen the senior management of Hyundai, ensuring high quality services and support is delivered on the After-sales segment to its valued customers. Sadath has worked as a certified Service Manager at Volkswagen and Skoda for Ali & Sons Motors LLC, Dubai for six years where he successfully led the After-Sales team to achieve ISO 9001 standards. In addition, Sadath has also worked on exclusive strategies, budgeting and execution related to all forms of After-Sales for Audi, Skoda and VW brands of automobiles both locally and internationally. Sadath has a B.Eng (Hons) in Automotive Engineering from the University of Hertfordshire –United Kingdom, and is a qualified Chartered Engineer. Sadath brings with him a wealth of experience in automobile technology with a specified focus on offering out of the box after-sales services and value added services to customers.